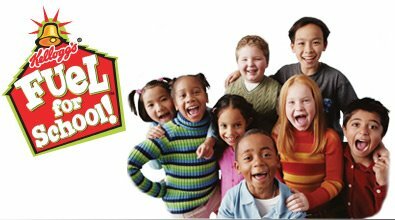 I have been meaning to post about the Kellogg’s Fuel for School rebate for a couple of weeks now, and am just now getting around to it! In case you haven’t already heard, you can receive $10 back via rebate when you purchase 10 participating products. I did this last year and ended up making money on 10 boxes of Kellogg’s cereal! As an added bonus this year, you will also receive a $70 coupon code from Dell. There are two ways you can submit this rebate. 1) Purchase 10 participating items in one transaction between 8/2/09-9/30/09 and submit the form found in the Kellogg’s insert found in the 8/2 Sunday paper. 2) Purchase 10 participating items in one transaction between 7/6/09-9/30/09 and submit the form found here (click on “$80 in Savings” link in the bottom right hand corner). Rumor has it you can submit both rebate forms because they are technically “different”. I can’t confirm this, but it might not hurt to try…it’s your call. Please see the rebate forms for official rules and instructions. I’ll do my best to highlight this rebate info in my sale/coupon match up posts moving forward. What great deals have you been able to snag with this rebate so far? All Things Frugal 4 U and Me has reported that you do not have to purchase all items on one receipt! Both forms clearly state “All products my be purchased in a single transaction on one store receipt”. Correction to above comment – “All products MUST be purchased …” Sorry, I needed to proofread before I hit send. Thanks… for sharing, good post, useful information.